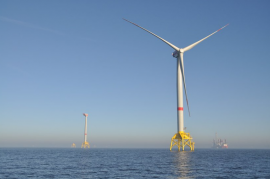 The Spain-based Ingeteam has developed a new medium voltage power converter for offshore wind turbines with the capacity of up to 15MW. 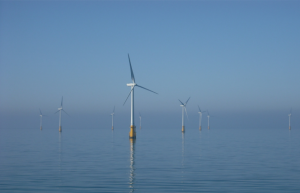 Friends of Floating Offshore Wind is calling on the UK to commit to a target of 1GW of floating offshore wind by 2025 and 5GW by 2030. 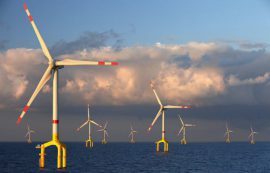 The 964th meeting of German Federal Council, scheduled for 2 February, will review a motion requesting that the Federal Government increases the targets for offshore wind from the current 15GW by 2030 to 20GW by 2030 and 30GW by 2035. 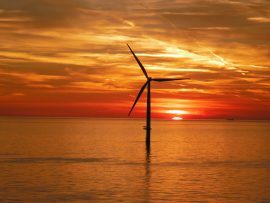 Vattenfall set its new financial targets at an extraordinary general meeting on 12 December, as the renewable energy sector has matured and changed market conditions, resulting in lower risks and thus a lower and more stable financial return. 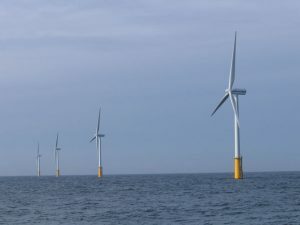 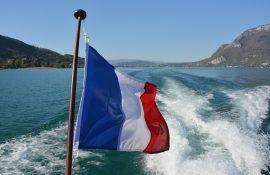 It has been said more than once so far that offshore wind is a resource that can largely contribute to meeting the targets set out in the Paris Agreement. 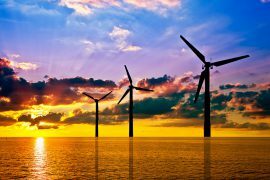 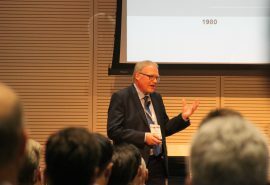 According to Bent Christensen, Vice President at Siemens Gamesa, offshore wind technology is already at a point to help meet COP21 goals. 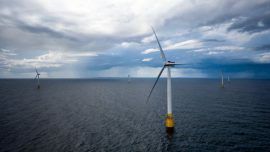 An Iberdrola-led industry based consortium has launched the ROMEO project aimed at reducing offshore wind O&M costs. 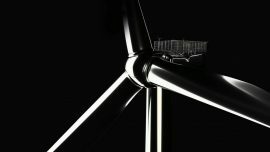 Hamburg-headquartered Muehlhan Group has established a new business unit – Muehlhan Wind Service (MWS). 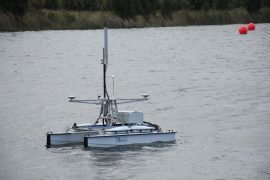 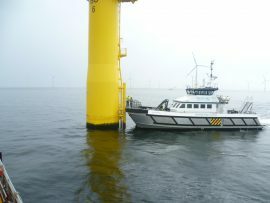 4D Ocean, a new company providing autonomous survey services to the offshore renewable energy sector was launched on the 3 April. 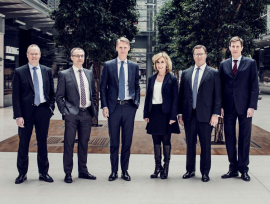 Danish fund management company Copenhagen Infrastructure Partners (CIP) has initiated the fundraising process for its new fund, Copenhagen Infrastructure III K/S, which has already received commitment of DKK 8.8 billion (around 1.2bn EUR). 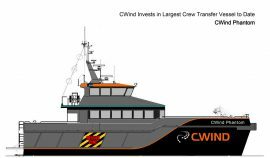 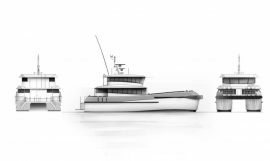 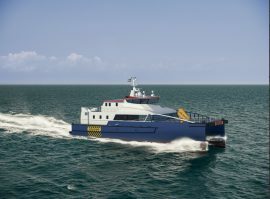 CWind has invested in what is the company’s largest crew transfer vessel (CTV) to date, a 2015-built, 24.7 metre catamaran, re-named to CWind Phantom. 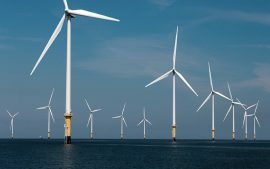 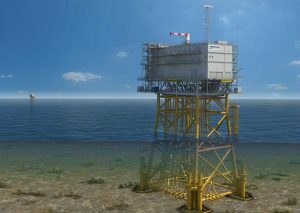 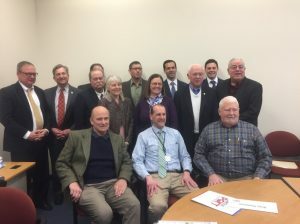 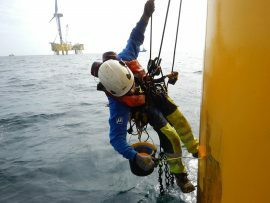 A consortium of European offshore wind and maritime industry players has initiated a project aimed at improving safety and productivity of technicians performing service activities on offshore wind farms by widening the weather window for Crew Transfer Vessel (CTV) use.